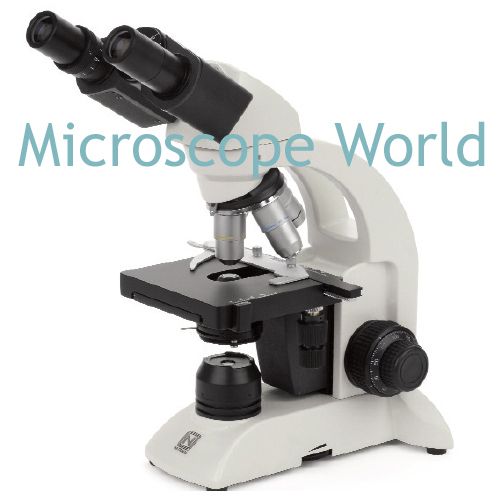 What is the difference between a binocular microscope and a trinocular microscope? 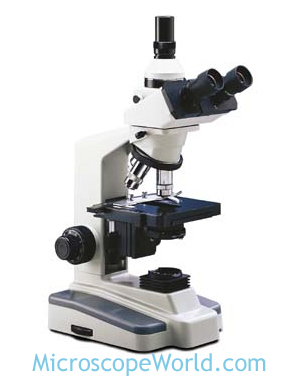 A binocular microscope has two eyepieces for viewing the specimen. Binocular microscopes are more comfortable to look through for extended periods of time than a monocular (single eyepiece) microscope. A trinocular microscope has two eyepieces just like the binocular microscope does, but then it also has a third eyetube for connecting a microscope camera. When connecting a camera to the microscope, a c-mount adapter is used to connect a microscope camera, or certain point-and-shoot consumer digital cameras can be attached using a microscope camera adapter.